Do your house plants seem a little dull? Maybe they’re just lounging around being lazy producing absolutely no glitz or sparkle. Well that’s not their fault, they are only plants after all and sometimes it takes a little more than water and sunshine to make a girl feel pretty. But do not fear! 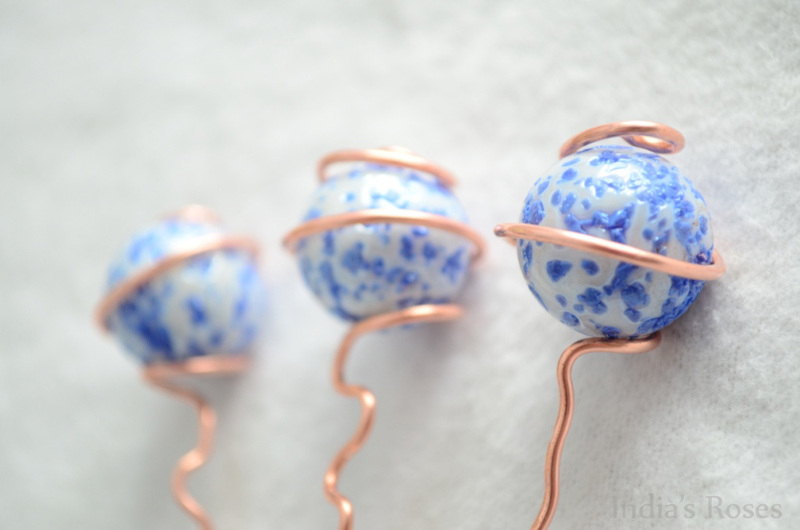 A Marble “plant bling” (I’m kicking myself for stooping so low as to use the word “bling”) tutorial is here!!! 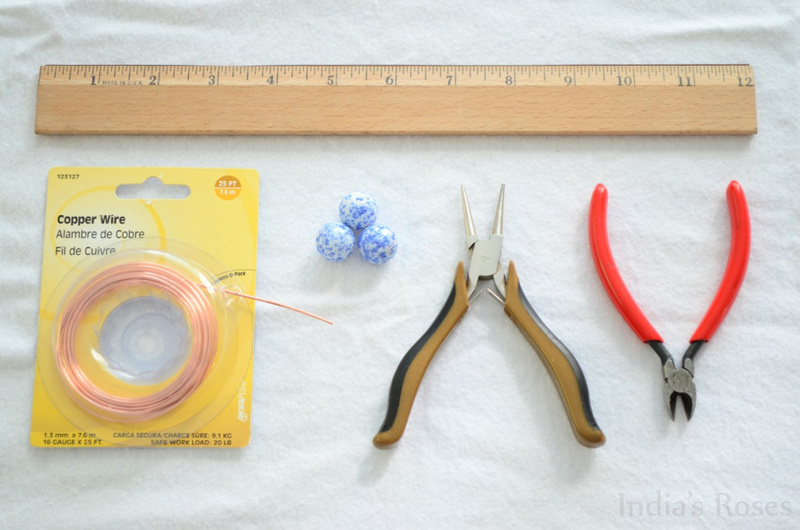 And for those of you not into the whole DIY thing you can enter to win your very own 3 piece set by leaving a comment on this page (scroll down for details), and if you don’t like those odds head on over to my Etsy shop and buy some pre-made plant flair all of your own! 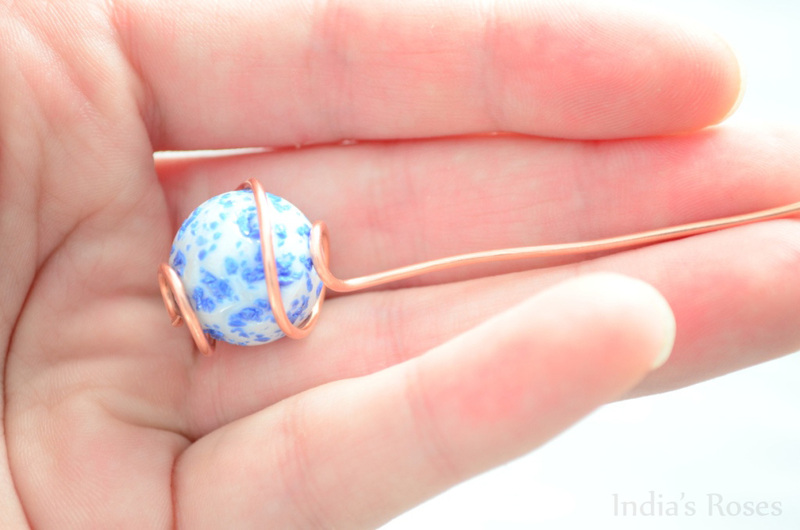 for only $8 shipped! 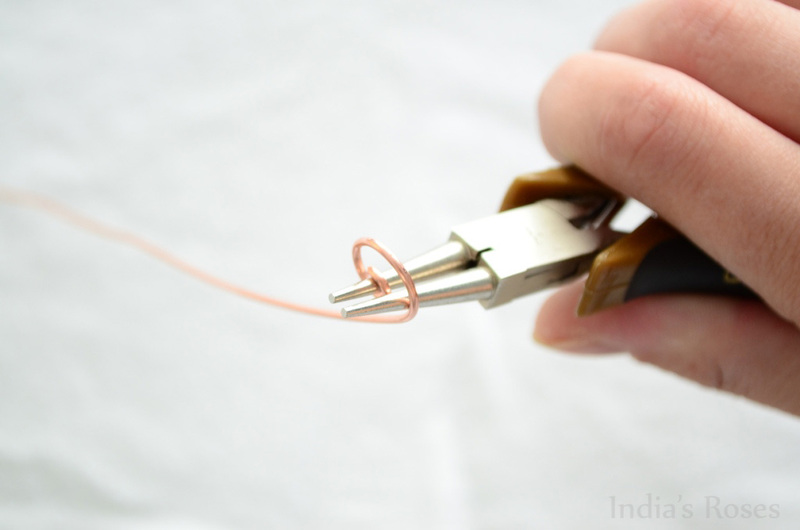 With your Needle Nose Pliers make a spiral at one end of the copper wire you just cut. 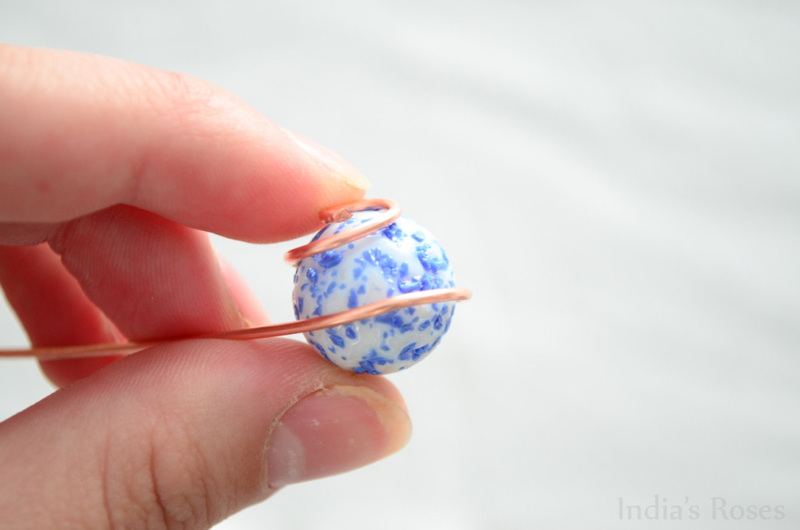 Firmly hold the spiral on the top of your Marble. 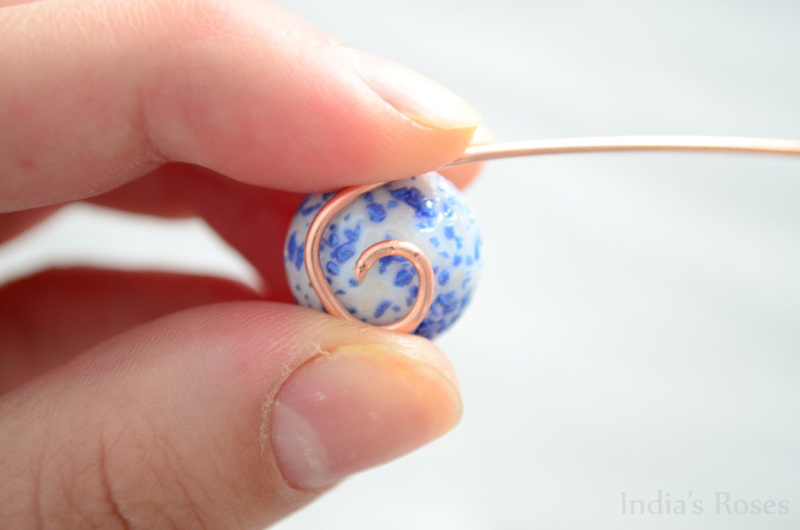 While holding the spiral in place with one hand, us your other hand to slowly curl the Copper Wire around the Marble. 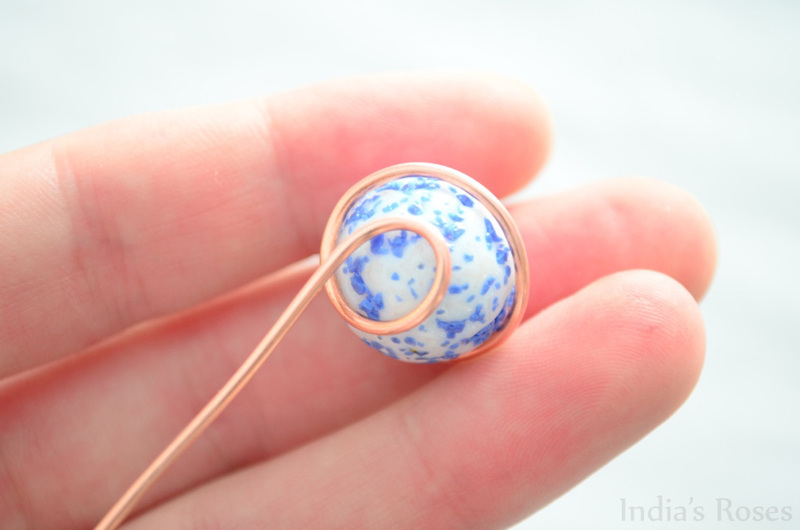 Curl the Copper Wire around until you reach the base of the Marble. 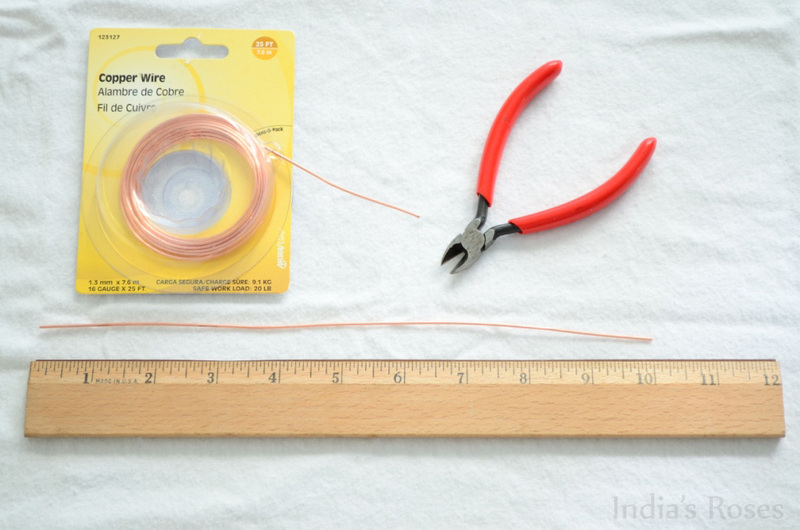 Bend the Copper Wire so that it protrudes strait out from the base of the Marble. 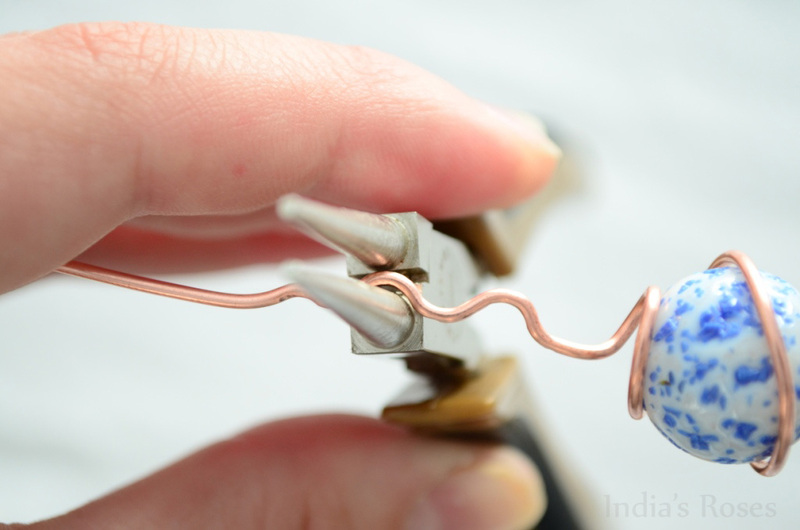 With your Needle Nose Pliers creatively bend the protruding Copper Wire to create Drama and Flare! Voila! 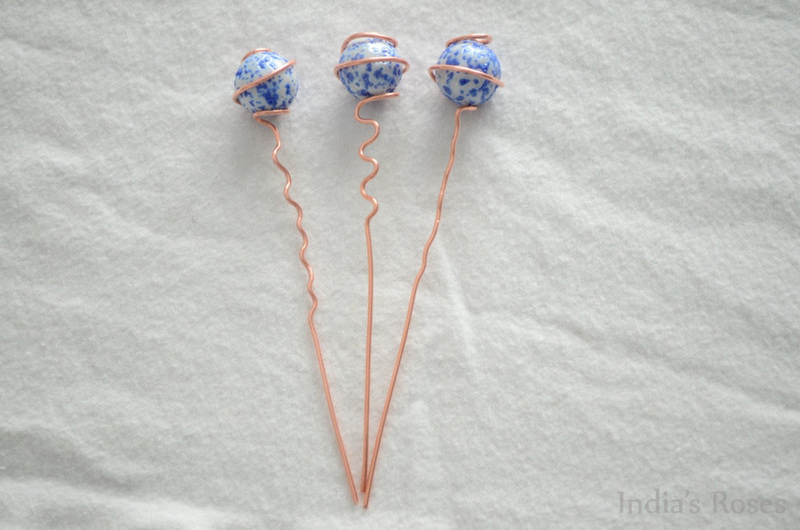 Beautiful Marble Plant Stakes fit for a Queen… or a very posh spider plant. To Win these 3 lovely Plant Stakes just leave a comment on this post telling me something about your house plant! (Such as species, size, color, name, age, birth date etc.) 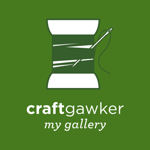 Giveaway ends November 16th, 2011 at Midnight PST! Good luck! Or for a sure thing head on over to my Shop and buy your own!!! My houseplant is a Spathiphyllum named Sydney. 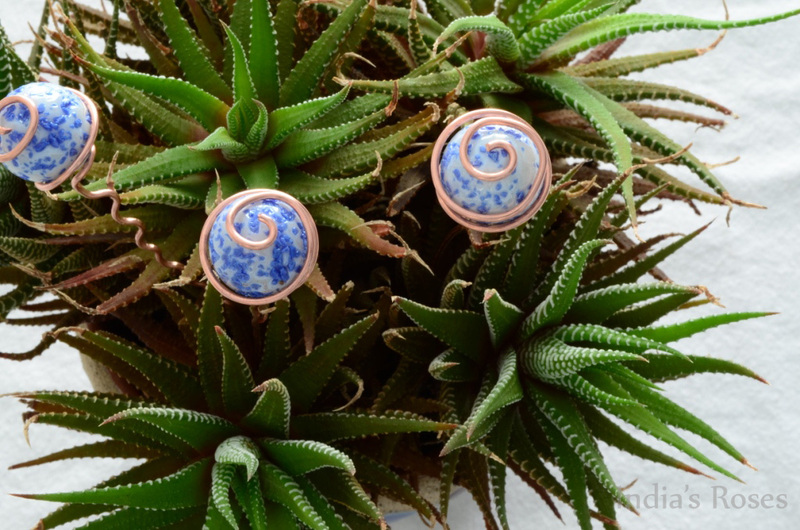 I’m Happy to take custom orders! I’ll email you with details! Thanks India! Christmas here I come!